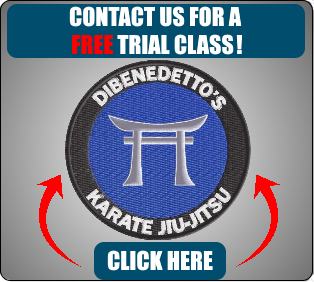 DiBenedetto's Karate Jiu-Jitsu is an Award Winning Black Belt School that has taken great pride in providing our students with hi-quality martial arts instruction since 1999. Our staff is committed to making our training programs the best that anyone has to offer. Our school is dedicated to teaching real world self-defense in an exciting, positive, and safe environment. Our students have better grades in school, more self-confidence, more energy, and longer attention spans. People of all ages, stages and backgrounds have commented on how our program has become a very positive influence on their life. For information on our program, please click the trial class button at the top of the page to get in touch with us, thank you!